Rent The Pier at Harborside | Corporate Events | Wedding Locations, Event Spaces and Party Venues. The Pier Harborside is the perfect exclusive venue for your next event. In addition to an extensive menu selection of exceptional quality with generous portions, your guests will enjoy superior service and breathtaking panoramic views of our award winning golf courses. With one banquet hall, our entire staff will make your event a truly exclusive affair! Vaulted ceilings, floor-to-ceiling windows and a wrap-around balcony offer a unique location for your perfect day. Beautiful grounds accented by a lake complete your ideal setting. In addition, guests will enjoy superior service and breathtaking panoramic views of our award winning golf courses. We pride ourselves on the service and “special touches” we provide our guests, and we welcome the opportunity to make your next event a successful one. 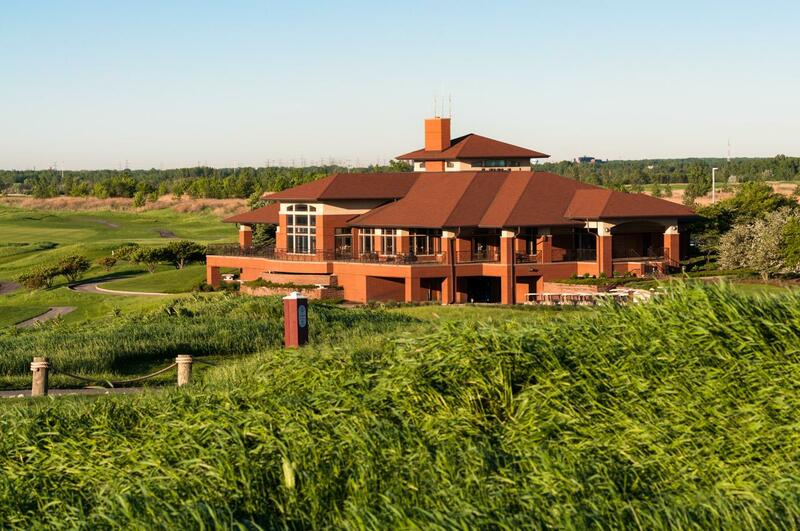 As the only facility with two of Golfweek’s “Best Courses You Can Play in Illinois” and the home to the most expansive driving range and practice facility in Northern Illinois, Harborside delivers the best that Chicago has to offer in golf. Our menus are designed to please a variety of palates, and Harborside International can also design a custom menu for your event. Our event professionals take care of all the details and are happy to provide assistance with every step of the planning process.